Yes! 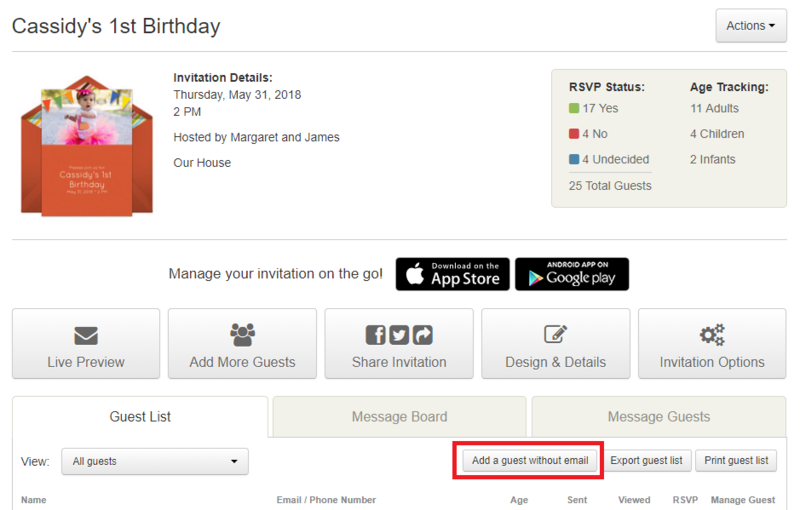 On your Manage Invitation page, you'll find an Add a guest without email button. This allows you to add an additional guest to your guest list without sending them an invitation. Please note you can only add a guest without an email after you've sent the invitation out to other guests first. The Add a guest without email option is currently not available within the mobile app.